Home » »Unlabelled » The chimps never forgot what this woman did. They were reunited after 18 years apart. 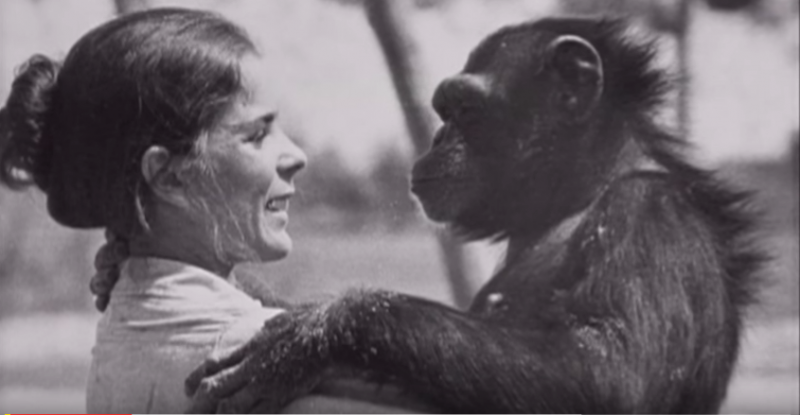 The chimps never forgot what this woman did. They were reunited after 18 years apart. Animal behaviorist Linda Koebner has made the rehabilitation of wild animals — those used as research subjects, for instance — her life's mission. 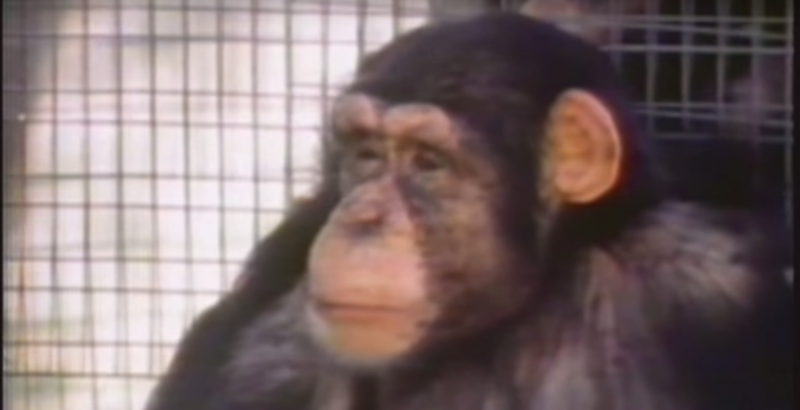 It all began 25 years ago when Linda was still a graduate student and was asked to participate in a pioneering project to help a small group of chimpanzees adjust to life outside a hepatitis research lab, the only existence they had known. Chimpanzees share 98.8% of their DNA with humans, making them our closest relatives in the animal kingdom. For that reason, they have been used extensively as research subjects, from developing and testing vaccines to preparing space missions. It isn't simply their DNA that binds them to us. They also exhibit similar social bonding behaviors and experience the same feelings of joy and sadness that we do. 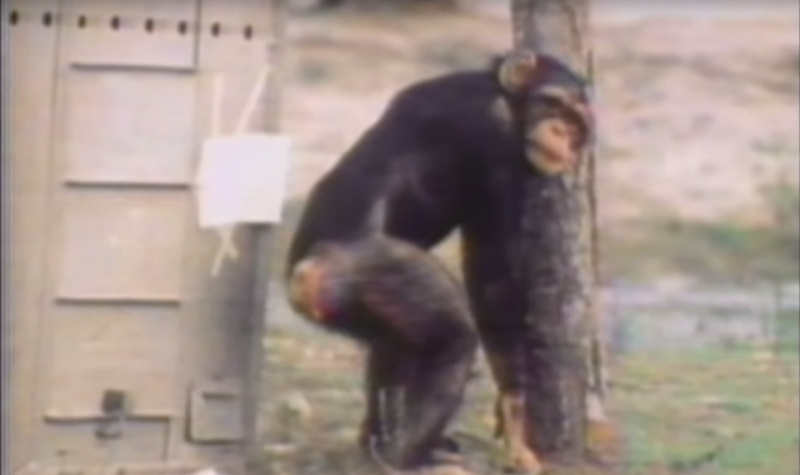 It's therefore all the more regrettable that, for many years, chimpanzees used as test subjects often didn't survive, and those that "retired" from research facilities usually faced the rest of their lives in cages. Thanks to Linda's work, however, that all began to change in 1974. 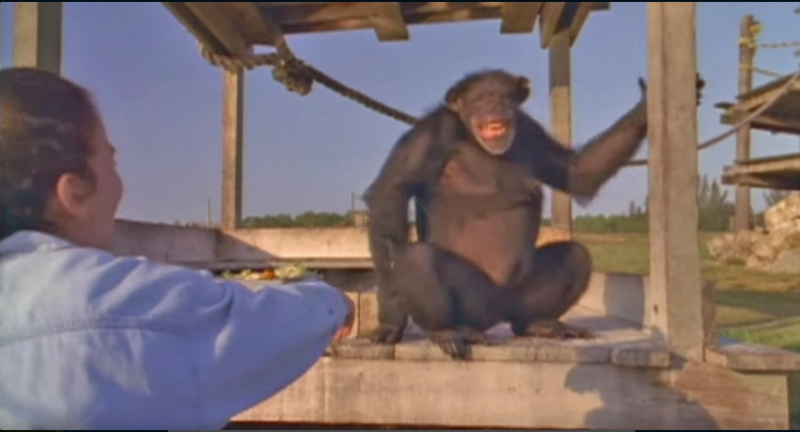 Linda introduced a group of nine chimps to life outside the research lab, helping them to adjust to freedom over a period of four years. Their new home was America's first drive-through safari park: Lion Country Safari in Loxahatchee, Florida. The animals lived in their own open habitat, separated from park visitors by a moat, allowing them to enjoy the peaceful and dignified retirement they deserved. Returning them to the wild really wasn't an option since they had either been captured at a young age or born in captivity and raised in cages. Nonetheless, adjustment to any kind of existence outside a cage was a big one. On the big day of the initial "release," Linda watched with delight as the timid animals smelled fresh grass for the first time and were able to move about freely. She cared for any animals who were sick and spent the rest of her time healing psychological wounds. It was a massive undertaking to help them make the transition to a life of relative freedom. But eventually, Linda had to say goodbye to the chimps she had grown so close to. The animals had learned to live as independently as possible. Even though it was very difficult for her, Linda left the chimps and went on to her next project, satisfied in the knowledge that the new colony of former research animals she had started had been a remarkable success. 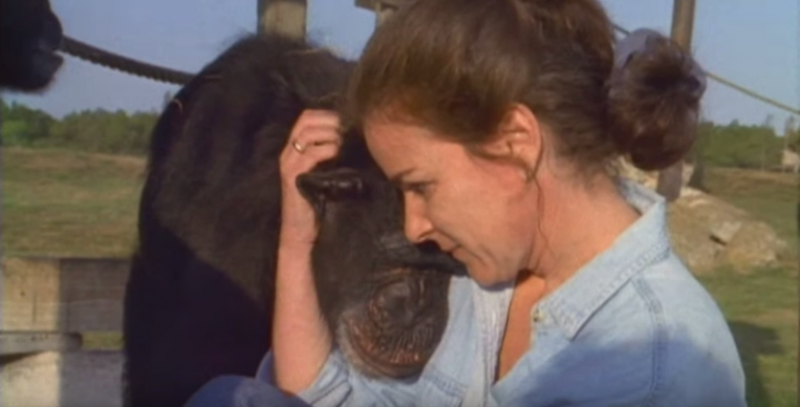 Some 18 years later, Linda went to visit her chimpanzee companions at Lion Country. Two of the original nine — Doll and Swing, both females — who she had resettled were still alive. 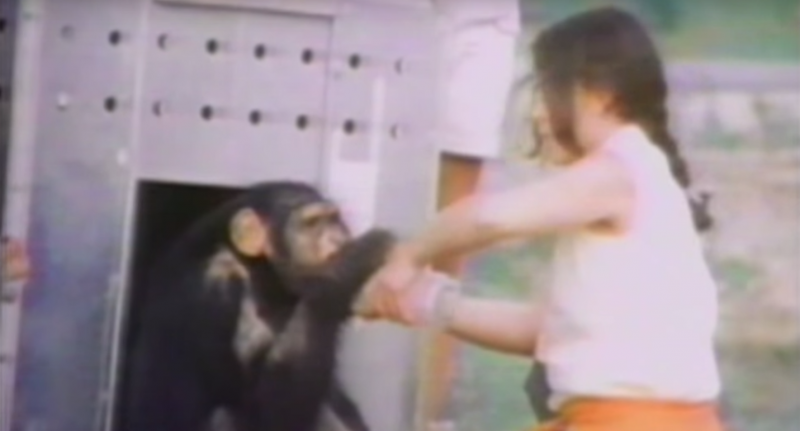 She wasn't sure whether the chimps would even remember her or if they were still socialized enough not to be dangerous. After all, adult chimps are far more powerful than we humans. 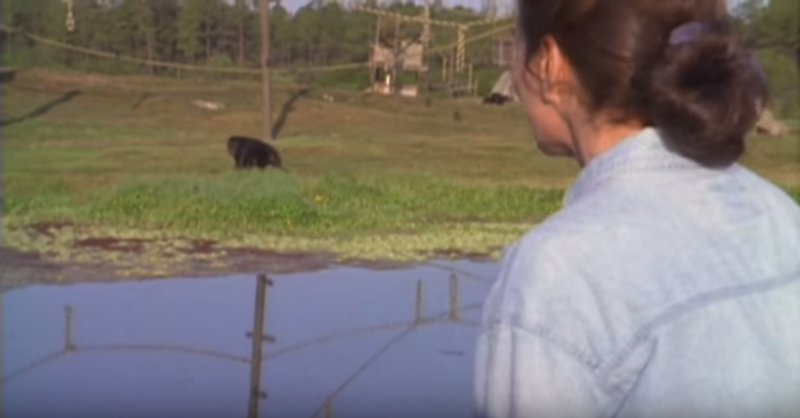 As Linda approached the water that served as a boundary to the enclosure, she imitated the sounds that chimpanzees use as a greeting. Linda immediately recognized Doll and Swing, and it seemed she had peaked their curiosity as well. "Remember me?" she asked as she neared them. Then something incredible happened: Swing extended her fingers and pulled Linda gently into her arms. There was no doubt that Doll and Swing absolutely knew that they were hugging the woman who had saved their lives so many years before. They would never act this way with strangers. Linda welled up with emotion at the affectionate reception she was given. Nearly two decades later and almost nothing had changed between them. Linda happily reminisced over their early years together, chatting to the pair as if they would somehow answer back. It was very clear that she had shared a special bond with these animals. It's so beautiful to witness the endurance of this special bond after so many years of absence. Animals each have their own unique character just as we humans do. All the more reason that they should be treated with care and respect, especially those who have suffered for our benefit. 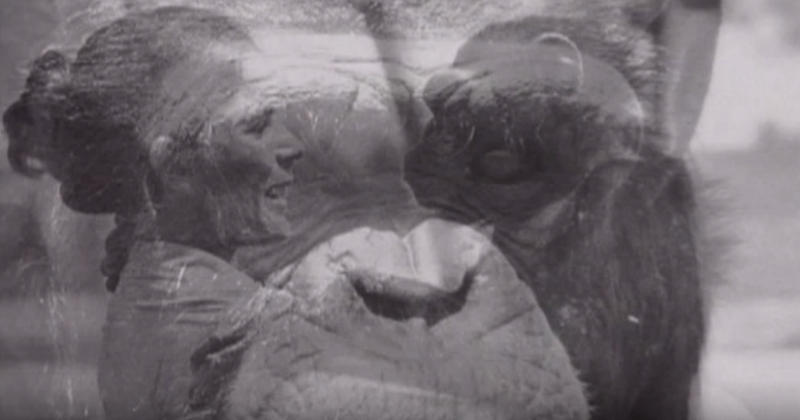 "Chimpanzees have provided us so much in this world,” Linda said in the film. “So much knowledge about ourselves, about our social lives, about our dispositions." "These chimpanzees have taught me about resilience. All of these have gone through such tremendous adversity, and yet they're forgiving, and they're whole again."